Microsoft has been doing a lot to promote linux interoperability on windows. I see this as a great step in the right direction, after decades of a closed and exclusive culture that has been a pain for cross-os users like myself. Go to the Microsoft Store and search for Ubuntu. Install it. This enables you to write convenient scripts in ubuntu that affect windows files on your desktop for example. 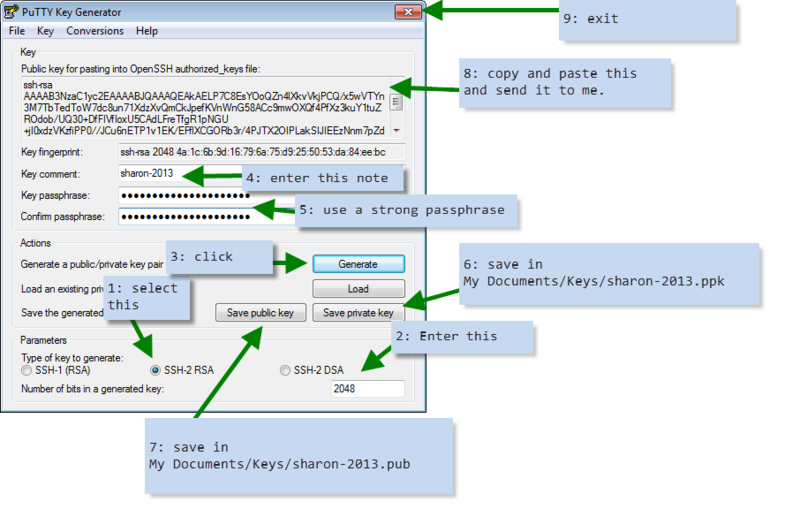 Have you ever been asked to generate an SSH keypair in order to gain access to a server, github, or an sftp site? Here is how on windows. PuTTY is a great program. I think it tops the cake for most-useful-utility-on-windows that I have ever encountered. I’ve used it to connect to telnet, ssh, linux, unix, windows, hypervisors, and even IBM iSeries (AS-400). However, despite all the cool things one can do with PuTTY, the default out-of-the-box-settings leave a good bit to learn. For a long time, I put up with some less than optimal settings. But over time, I learned what worked best for me. The purpose of this post is to share that with you. user@host is handy for auto-login. I prefer to place my server name before my username in the saved sessions because the sort order will be maintained as the list grows. 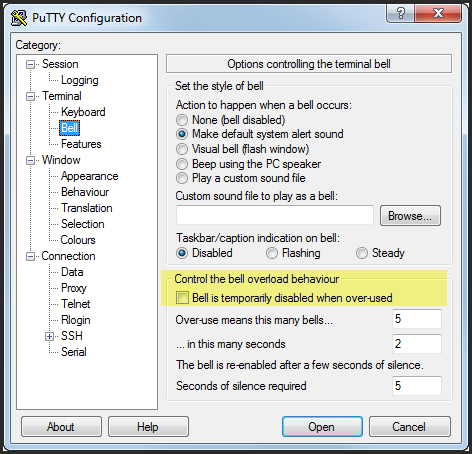 I have found it preferable not to disable the bell if it is overused. This is one of the most important settings. The default of 200 lines of scrollback is just not enough. I find 20000 to be more useful. 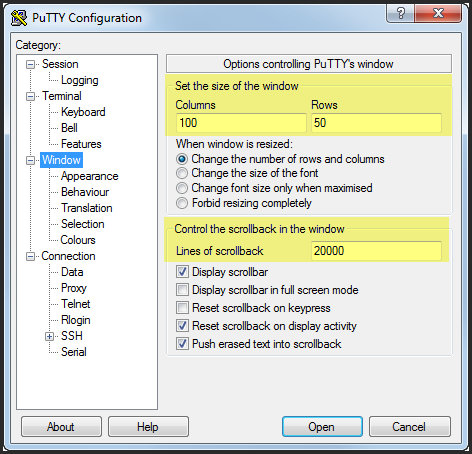 Also, the window size should be set according to your screen size and preferences. As of a few years ago, Linux began to use UTF-8 character encoding by default. This means that if your terminal is set to latin1 or similar, then each single multi-byte-character is literally interpreted as multiple latin1 characters, mostly drawn as out-of-place accented letters and various symbols. So in my experience, it is best to use UTF-8 when connecting to Linux. So, think that over pretty hard. 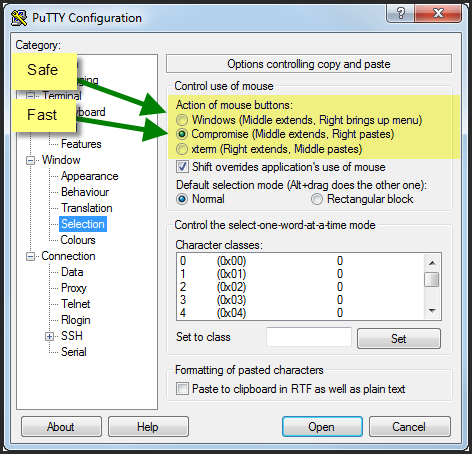 The first option of “Windows” will bring up a right-click menu with a convenient “Paste” option. 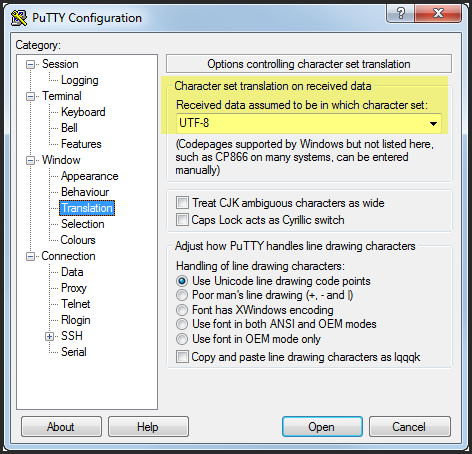 Also, you can simply us SHIFT+INSERT to paste in PuTTY. 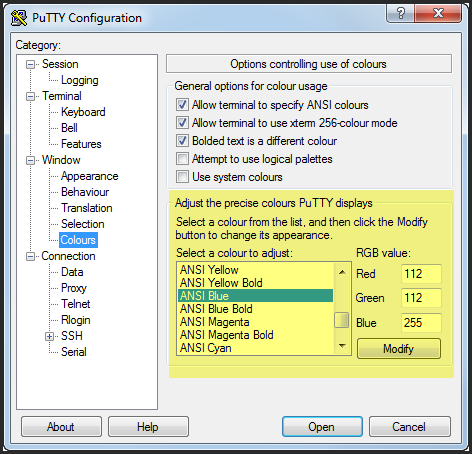 Simply select “ANSI Blue” and change the RGB values to 112, 112, 255. It is helpful to send a null packet every once in a while to keep sessions alive. 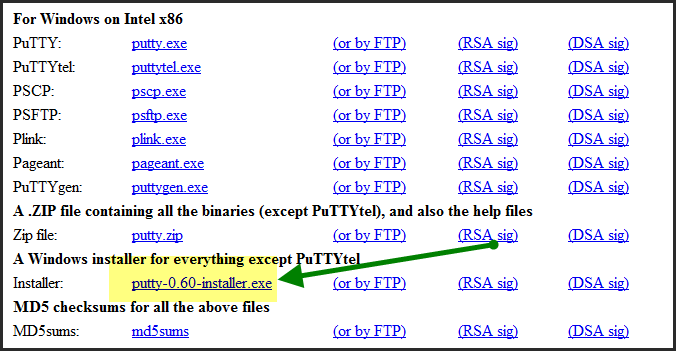 If you use SSH Agent forwarding (eg pagent) to allow you to “hop” from one server to another, then PuTTY must be told to enable Agent Forwarding. There are some security issues with this setting when connecting to an untrusted server, so please understand them first. If you want to connect to a MySQL or PostgreSQL service running on the host you are connecting to, but have all communication encrypted and sent via SSH tunnel, here is how to set that up. Keep in mind that your Windows OS you are on must have the source port free, so if you are ALSO running MySQL locally, then pick a different local port number like 13306. Once your SSH session is established, then you can connect to localhost port 13306 and it will be tunneled to the remote server on 3306. Cool! Finally!!! Don’t forget to save your session. And that’s it! 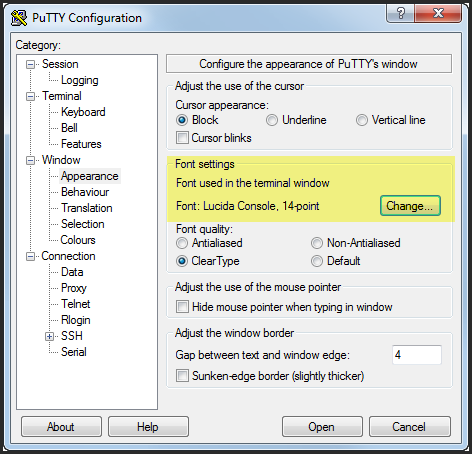 The basic PuTTY settings that I use which work quite nicely.